Function or design? Here are several cases for your iPhone 6. 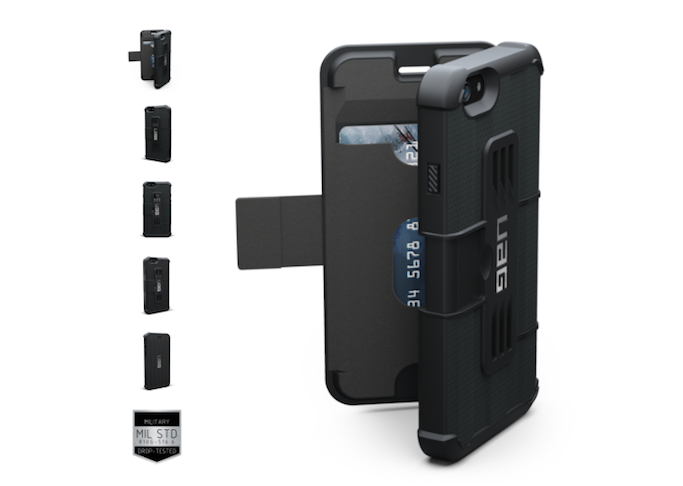 Urban Armor Gear (UAG) is known for their Military Drop-Tested phone cases, but the Rugged iPhone 6 Folio Case is my favorite. Impact resistant and with skid pads, the case remains feather-light. Volume and lock buttons are easy to access, volume holes won't compromise the audio, and the flash hole won't create glares in your photos. I also like the convenient cover which can accommodate up to 3 cards! Mesh case for iPhone 6 boasts its new comfortable grip. It is designed to fit nicely in your hand, and made of elastomer - a superior and durable material with "Made in Japan" quality. Available in yummy colors! Kawaii! For those who want to cute accessory for their phones, premium silicon Tsum Tsum Mickey & Minnie iPhone cases are available in Instagram shop @poshandplayPH. Mukhang alam mo na kung ano fave ko.... DESIGN! haha minne and mickey!!! love et! The Mickey+Minnie case is deffo my favourite...so frickin adorable!! !